Sus chords or suspended chords create a really cool modern sound. Last week I put out a video of a bassline I’d written on four sus chords. This week I want to explain a little bit of the theory behind my approach to playing on these types of chords. 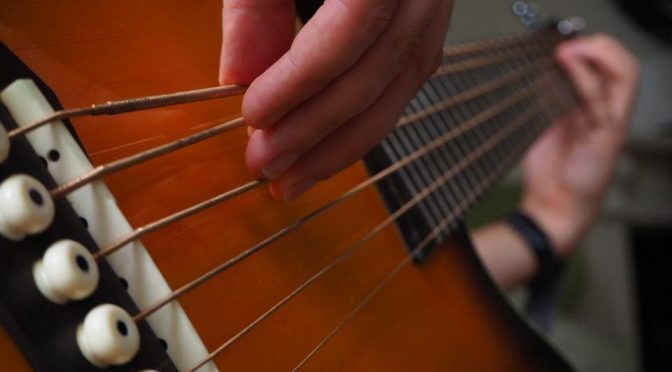 What is a suspended chord? I think there is often confusion over what the term suspended actually means when it relates to music. A suspended chord is simply a chord that doesn’t contain a third. A basic musical triad (three note chord) usually contains a root, a third and a fifth. And it’s the third that defines the chord as being either major or minor. Suspended chords don’t use the third. The third is usually replaced by a fourth (sus4) or a second (sus2). Therefore they’re not major or minor chords. They need a different name, and that name is suspended. 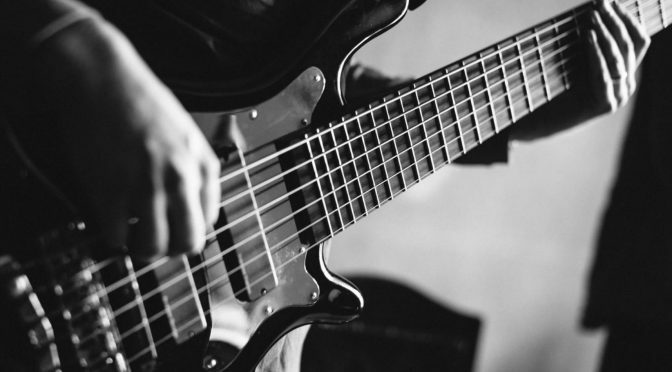 The name itself doesn’t really tell you anything important about the nature of the chords or how to play on them, so most musicians usually abbreviate and call them sus chords. How do you play on sus chords? Personally, I take a jazz approach to playing on sus chords. A basic sus4 or sus2 chord (like the kind you might find in a pop song) is all very well. But for me these chords get really interesting when you start extending them, creating richer fuller harmonies and chord voicings. 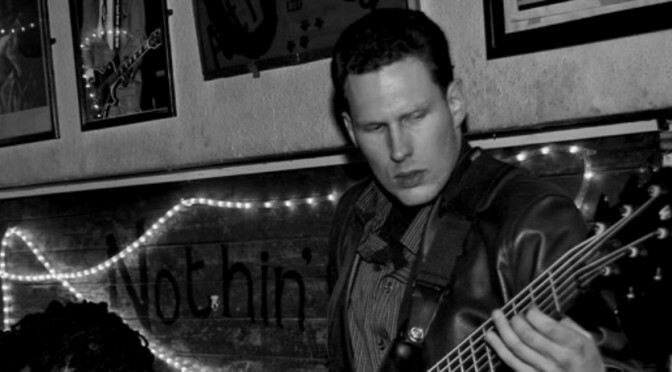 When I’m playing bass on sus chords, I like use the notes of a major 9th chord or arpeggio. But I think of the root note of the sus chord as being the 9th of the major arpeggio. So, for example, G is the 9th of F major. So I can think of a Gsus chord as being an inverted Fmaj9 chord with the 9th becoming the root. If you think of the notes of an Fmaj9 chord with the root G, then the chord tones are root, 2nd (9th), 4th, 6th (13th) and b7th (dominant 7th). So you can think of my Gsus chord as being a G7sus4 chord with a 9th and a 13th added as chord extensions. However, I would simply think of it as Gsus and the chord extensions are there at the discretion of the musicians voicing the chords. These kind of extended sus chords create a really cool modern jazz sound. I think they’re cool because they aren’t major or minor, so the sound of them is always a bit of a question mark. Almost like you’re not really sure when you hear them, how they’re supposed to make you feel. In the bassline I played in last week’s video, I used four sus chords Gsus, Bbsus, Dbsus and Esus. In each case I thought of the root note as being the ninth of a major 9th arpeggio. In this video lesson I’m going to explain why offbeats are so important. 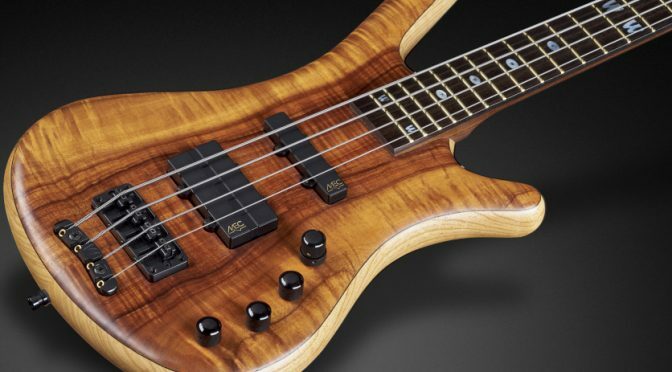 What is an offbeat and how can you improve your bass groove by playing them more accurately? It’s a question I often hear when I’m teaching rhythms like the one below. It usually means that the bass line in question either doesn’t accent the first beat of the bar, or in this case, doesn’t play on beat one at all. The rhythm above is based on the Cuban tumbao rhythm. It’s a tricky rhythm because it never plays on the first beat of the bar. 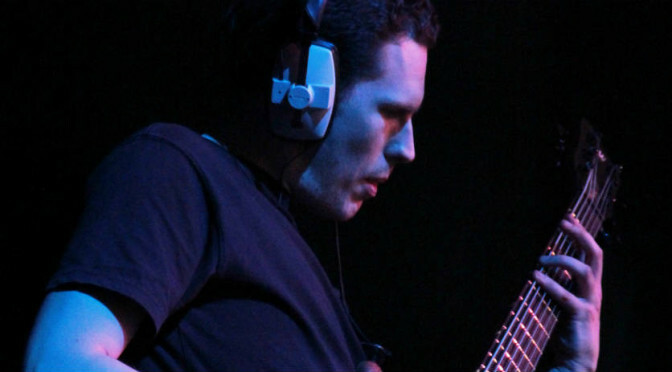 Bass players shouldn’t define their grooves by beat one. All music with a 4/4 time signature (which is most music) contains four beats and four offbeats in every bar. Every beat and every offbeat is equal, and you must know how to place notes accurately on any of them if you want to have a great groove. Beat one isn’t more important than any of the other seven subdivisions. The key to making the bass line in the example above groove is the ability to play the offbeats very accurately. Most people can play accurately on beats but playing on the offbeats is harder. How do I practise playing offbeats? The following example was written to help you practise playing on the offbeats. The first note of each bar is on beat one and the remaining notes are played on the four offbeats. 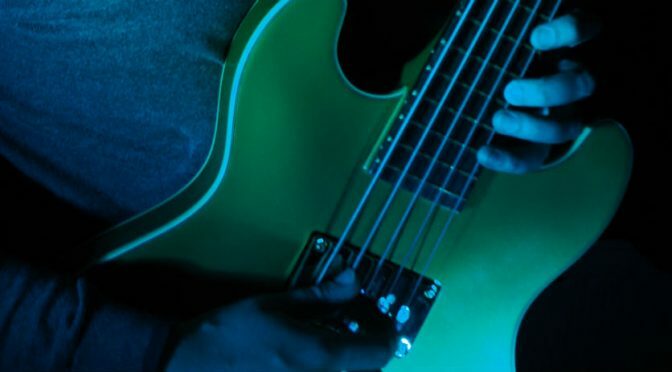 The next example for you to practise is a funky bass groove that features lots of offbeats. 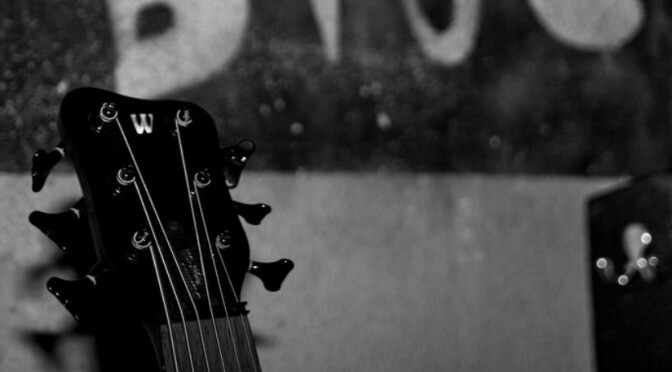 How do you improve your offbeat groove? 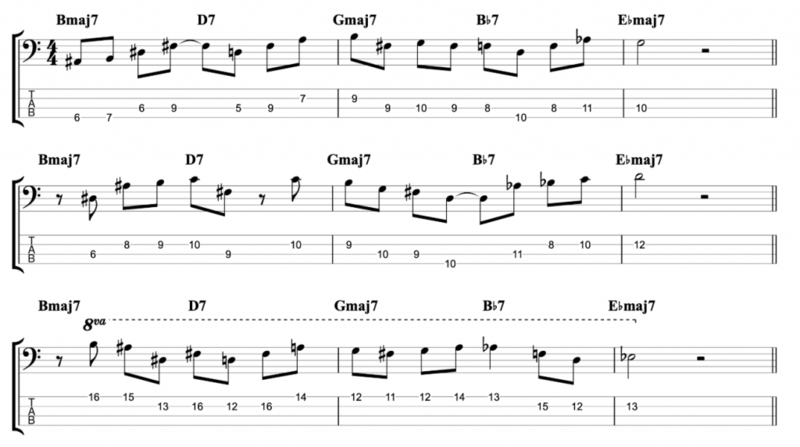 When you practise the examples above, make sure you play the offbeats very accurately. In order to do this, start by playing slowly in time with a metronome or drum beat. You can find these for free online. Then say Ta-Ka in time with the beat. Ta is the beat and Ka is the offbeat. If your offbeat notes land exactly on the syllable Ka, then you know your timing is good. It often helps to record yourself playing slowly. You will often notice misplaced notes more when you listen back to a recording than you did when you were playing. 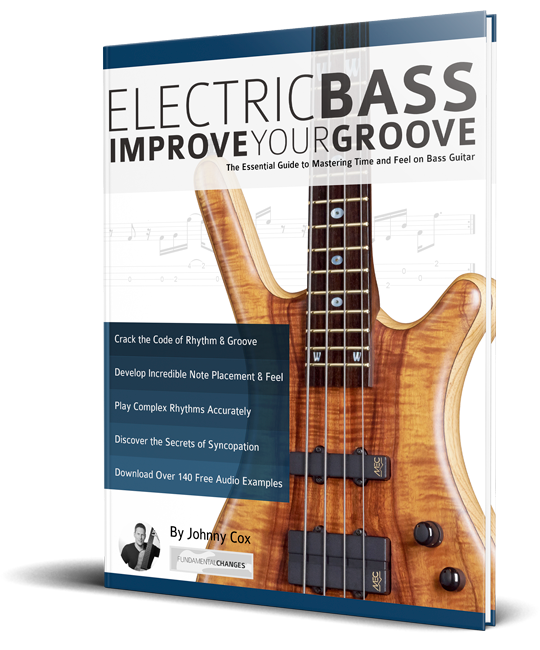 For more examples, check out my new book Electric Bass – Improve Your Groove: The Essential Guide to Mastering Time and Feel on Bass Guitar. Containing over 140 audio examples featuring eighth and sixteenth note grooves in a variety of styles including rock, blues, jazz and Latin. It also features sections on syncopation, shuffle feels, triplets and swing. 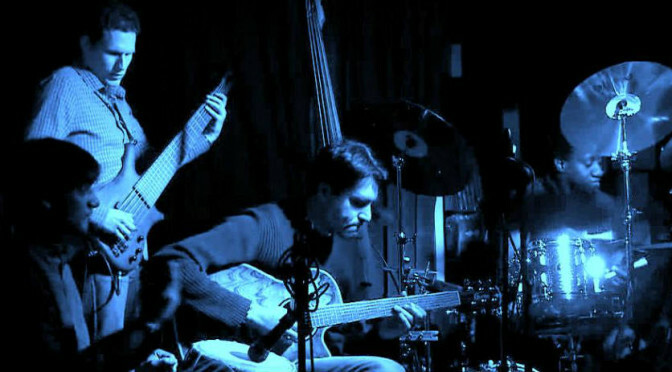 It has practical advice for grooving with drums and sharing a collective time feel in a group. And it features five pieces with play along backing tracks to help you put these ideas into practice.